Not as sharp as I would like but decent..Done with my Meade and Neximage5..First time imaging this planet..Exposure was tricky..
That is really nice! Honestly, it is a better image than anything I have personally seen through an eyepiece. With new lenses in my eyes, I am hoping for an improvement. 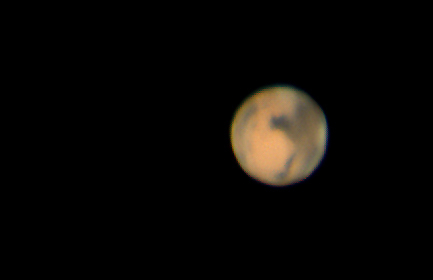 I am hoping to get some quality time with Mars this season. I am putting in an observatory right now and hope to get things set up in maybe three weeks.